The nightly rate is for British Columbia seniors. We only stayed here one night and a huge thunder storm rolled through. However, the storm is not a reflection of my review. Right from the start, the nightly rate is way over the rate that should be charged for the facilities that you get. The beach areas are very limited, and the pet areas are limited as well and there are no showers. The Provincial Parks in BC are sadly in need of standard pricing based on facilities but they are all tendered out to sub contractors. That being said, the Park itself is very picturesque and the bird life is wonderful. Sites are gravel and not quite as private as most Provincial Parks. We camped at sẁiẁs Provincial Park (Haynes Point) in a Travel Trailer. The price is for a weekly rate, taxes included, but does not include their $2 per night pet charge. Don't let this RV Park upset you by the older units and permanent residents. The facilities are old but well kept, and the park is very quiet (except for some large trucks passing on the highway). Six TV channels are available by cable and the WiFi is relatively stable (TV cable had to be run under the trailer). Park staff are friendly too. The dog exercise area is adequate and with doggy bags as well. Unfortunately we arrived during a lot of rain, and the pads are a sandy gravel surface which made for sweeping out our unit regularly. We chose to stay here because of the rising water levels in lakes and rivers in the area. 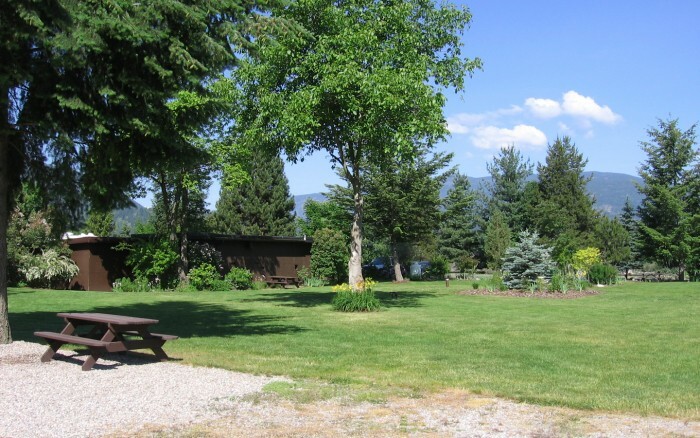 We camped at Castlegar Cabins, RV Park & Campground in a Travel Trailer. 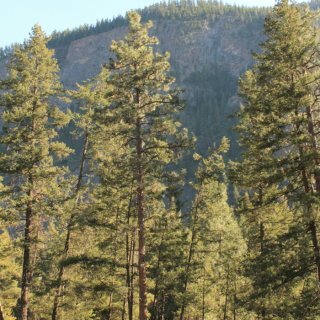 Hiking trails available a short distance down the road towards Castlegar off Merry Creek Forest Service Road. Sites are pull through grass. Trail by the Park. Close to the highway, so can be noisy. We were told that the washrooms were not open, so we had to have our own sewage containment. Only stopped for one night. We camped at Eagle RV Park and Campground in a Travel Trailer. This is almost side by side "sardine can" RVing, but not quite. Some sites have trees that prevent units from putting their awnings out, and some are very short sites providing them with cramped space when parking their tow vehicle, or "towed" vehicle. All hook ups work well, but the wifi can be slow at times (both Shaw go, and Fort Victoria). There are a large number of permanent units, but most are well kept, and the park itself is quiet at night. There is a steady hum from traffic on the highway. Within walking distance at the corner of Pheasant Lane and Helmcken Rd there is a dog park with an off leash area. The park has narrow roads and a few small hills that can make maneuvering tricky. 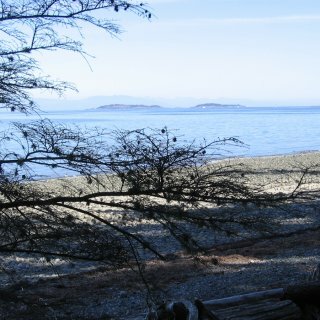 We camped at Fort Victoria RV Park & Campground in a Travel Trailer. 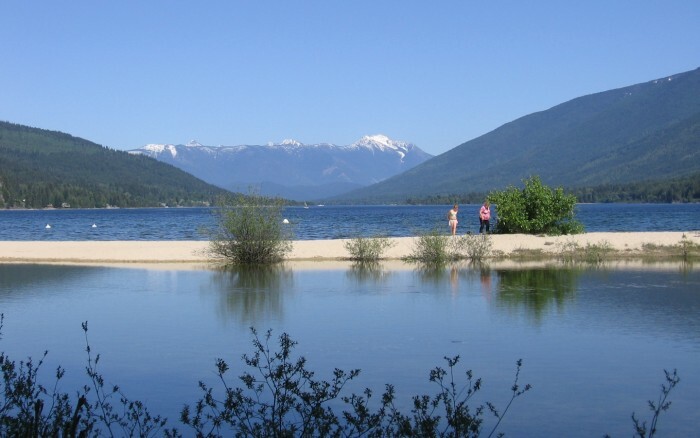 BC Provincial Parks are over priced at regular rates, but are ok for seniors of British Columbia in the off season. Park is not as clean as some (like Miracle Beach Provincial Park), but passable. Lots of nice walking trails and great beach areas when the tide is out. This is a very busy park even in the off season, so come early. 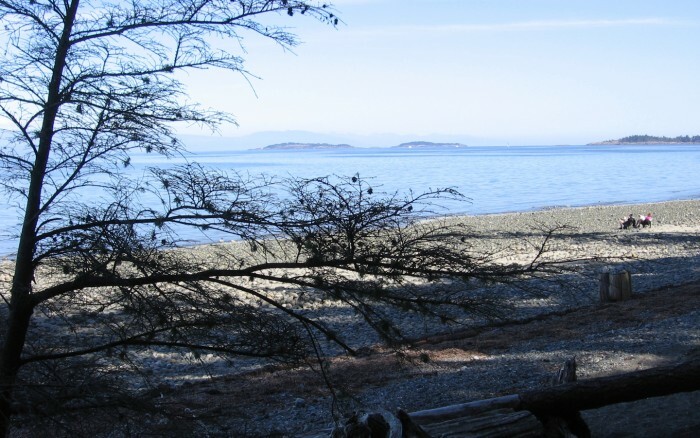 We camped at Rathtrevor Beach Provincial Park in a Travel Trailer. Things have changed since we stayed here a few years ago. The sites are still rough and either grass or gravel, and there are still no sewer hook ups, but they now have Shaw Go WiFi available. The rifle range located across the creek seems to be having more usage, which was very upsetting for our dog, and a house on the other side of the creek has two large dogs that sound like they are attacking something every time someone passes by their house (at all hours of the day or night). The hosts are very accommodating and helpful, but because of the noise we would avoid going back. It might be OK for a one night stop over. We camped at Lumby Lions Campground in a Travel Trailer. Rate is Seniors Discount, with power. This is a very beautiful Park, with some electrical hook ups, sani station, showers, boat launch, playground, beach, walking trails and private sites thoughout the park. The views are staggeringly beautiful up and down the Lake, and Saddle Back Mountain across the Lake is jaw dropping. However, if you come here, you are a little bit off in a no big shopping or major services area. We were in the power hook up area, so not too much shade in our site. We camped at McDonald Creek Provincial Park in a Travel Trailer. The rate listed is Seniors Discount. The Park is extremely well maintained and the host is very personable. All sites are level gravel and are nice and private. Views are wonderful, and there are hikes on the Rail Trail on the other side of the lake. What appear to be pit toilets actually have flush toilets and plumbed stainless steel sinks. Park is quiet, and a waterfall across the road provides white noise for a restful night. Mostly used by fishermen. We camped at Summit Lake Provincial Park in a Travel Trailer. Unless you are coming for fishing and the view, you would probably be better off going somewhere else. There is no Wi-Fi unless you have signed up to a local service, there is no TV, no showers, and no sink or toilet tissue in the little wooden washrooms. Sites are crude and not very level, and our sewer hose had to be run uphill (as did one of our friend's). All the picnic tables are in bad need of repair. We came to meet up with friends from out of province. We camped at Woodbury Resort and Marina in a Travel Trailer. This is one of the better Provincial Parks in the Province, with so many choices for sites. You can get almost beach front, private wooded areas, close to playgrounds, or somewhere in between. Electricity is available in some areas too. Great beach areas and views too. 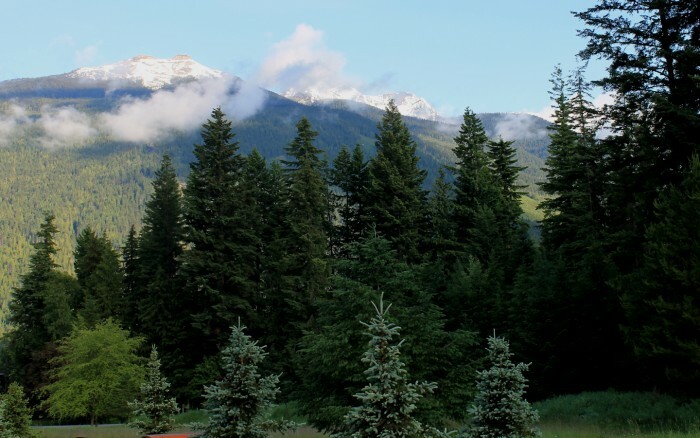 We camped at Kokanee Creek Provincial Park in a Travel Trailer. 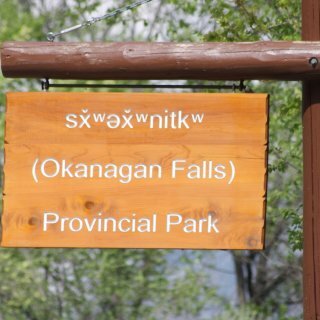 This a small park that has recently changed it's name and is operated by the Osoyoos Indian Band. The new name has characters that computers will not accept, but I have posted a picture of the park sign. It's located by the river which has wonderful bird wildlife, and far enough off the highway that there is very little noise at night. 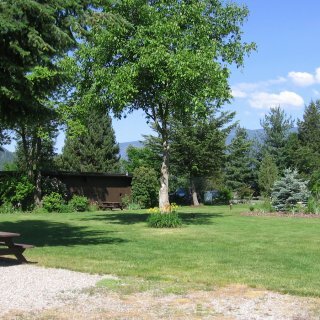 Sites are gravel, spacious, sunny/open to some shade, and include a fire ring and picnic table. A walking/biking trail runs right through the park which can take you north towards Penticton or south towards Oliver for many miles. The Park hosts are great and maintain it very well. We would certainly stay here again. 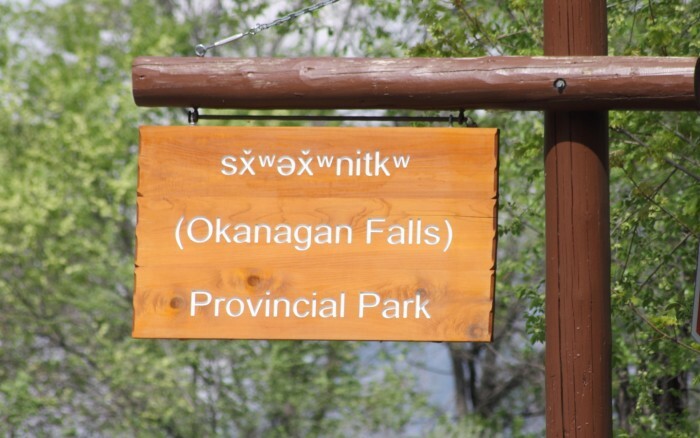 We camped at sx̌ʷəx̌ʷnitkʷ Provincial Park (Okanagan Falls) in a Travel Trailer. A trip south on the Green Road to Oliver takes you to some wonderful views and back country that most tourists would miss out on, but provides you with a better sense of the area. If you do go, make sure you take a good map, since the area close to Oliver have a lot of little country roads. This review is for the Entrance Bay Campground. The greatest benefit in this Park is the Seniors discount during the off season, and the greatest negative factor is the noise of the power boats on the lake. As Provincial Parks go, this is one of the noisiest parks you will find, but the sites are nice and private. 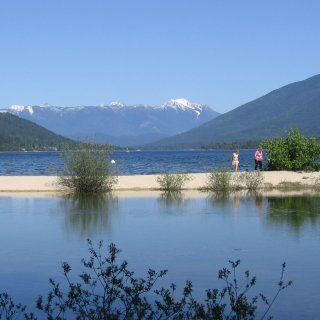 We used this park as a one night stop over, but we will probably go to Sasquatch Provincial park next time through the area even though it is a little further of the Trans Canada Hwy. 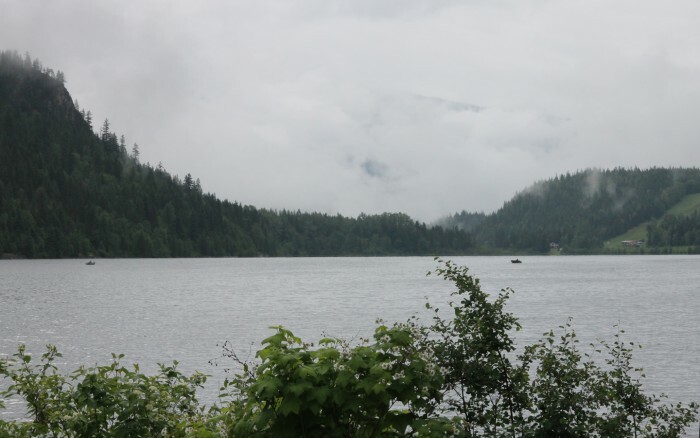 We camped at Cultus Lake Provincial Park in a Travel Trailer. Great place to stay for a one or two night stop over. There is a water pump in the park, but it could have a boil water advisory. 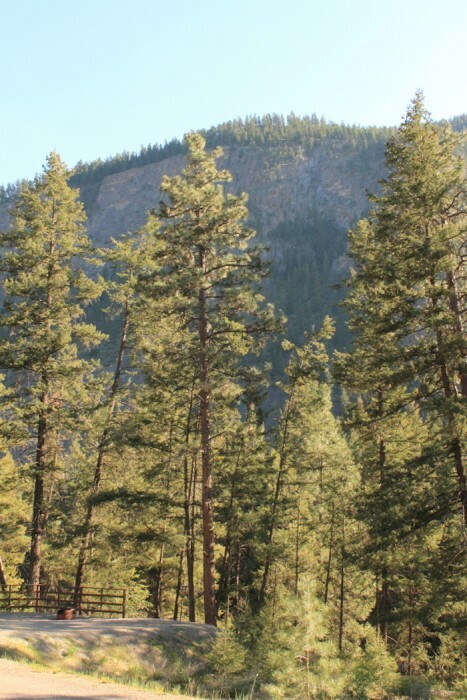 Wonderful views of Stemwinder Mountain and the Similkameen River. A little close to the highway, but not too much noise from it. 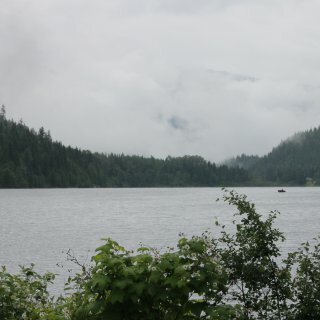 We camped at Stemwinder Provincial Park in a Travel Trailer.